As a presenter, it’s your job to motivate your audience to jump into your cause. Whether you’re selling a product, raising money, or encouraging your audience to maintain a healthier lifestyle, the goal is the same: move them to action. 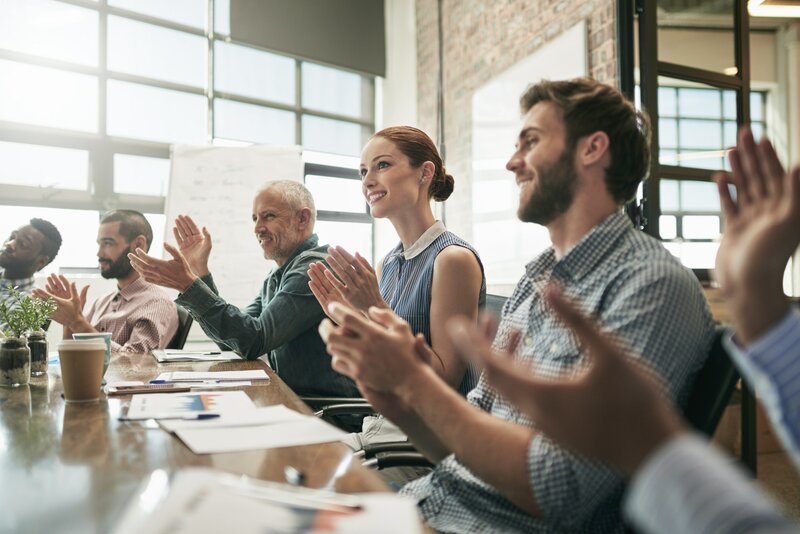 With a growing spotlight on productivity and return on investment, it’s important that every presenter not only deliver a great presentation but have tangible results at the end as well. At Ethos3, we have worked with clients in every industry to motivate their audience and drive engagement using these 4 easy steps. Step 1: Open with a powerful story. During the first 90 seconds of your presentation, your audience will decide whether what you have to share is important or not. Couple that with the ever-shrinking attention span of your audience, and you must start strong if you have any hope of moving your audience to action. By starting with an impactful story that pertains to your content, you bring your facts and figures to life right out of the gate. Open with a story that allows you to frame all of your remaining content through the lens of that story for a cohesive and compelling message. Make sure this story is impactful and real; it should include emotion as well as vulnerability to create a connection with your audience from the beginning. Step 2: Support your claims with data. In an internet culture where anyone can make a claim about anything without proof, data is vital to develop trust and authority with your audience. Gone are the days where an audience will take your word for it. Instead, audiences are looking for facts and figures that support your claims. The more data to support your claims, the better; however, when adding large amounts of data into a presentation, make sure it’s represented visually rather than as bullet points so your audience can understand the information quickly and easily. If you want to learn more about how to represent data visually, check out this post. Step 3: Give clear next steps. With a growing emphasis on ease of access for consumers, it’s important that you give clear next steps to your audience. If it’s not clear and easy, then your audience will look for another option. When creating your content, think of a clear next step for each of your key points and share them throughout the presentation. Finally, select one overarching next step that will be presented in your final call to action. You have one shot to get the final ask right, so take the time to create a strategy for your audience to connect with you. Step 4: Follow up promptly. Studies have shown that lack of follow up within 48 hours of lead generation results in more than 50% of fall off. That means that you have 48 hours to make an initial contact with every lead that you gain from your presentation. Outside of this window, your compelling argument will have worn off and your audience will be looking at the next thing. While many of us are tired after a presentation, the real work starts right away. Gather as much contact information from your audience members as possible, and begin following up within 24 hours. Don’t give your audience the opportunity to forget about you. Motivating your audience to action is key to every presentation. If you fail to motivate them, you’ll simply have shared some information with no results for you or them. By using these 4 easy steps, you’ll be able to move your audience out of their seats and onto your platform. The team at Ethos3 would love to help you take your next presentation to a new level. Contact us today to find out how.